A seed is an embryo plant and contains within itself virtually all the materials and energy to start off a new plant. To get the most from one’s seeds it is needful to understand a little about their needs so that just the right conditions can be given for successful growth. One of the most usual causes of failures with seed is sowing too deeply; a seed has only enough food within itself for a limited period of growth and a tiny seed sown too deeply soon expends that energy and dies before it can reach the surface. Our seed guide, therefore, states the optimum depth at which each type of seed should be sown. Another common cause is watering. Seeds need a supply of moisture and air in the soil around them. Keeping the soil too wet drives out the air and the seed quickly rots, whereas insufficient water causes the tender seedling to dry out and die. We can thoroughly recommend the Polythene bag method (No. 11) which helps to overcome this problem. Watering of containers of very small seeds should always be done from below, allowing the water to creep up until the surface glistens. Most seeds will of course only germinate between certain temperatures. Too low and the seed takes up water but cannot germinate and therefore rots, too high and growth within the seed is prevented. Fortunately, most seeds are tolerant of a wide range of temperatures but it is wise to try to maintain a steady, not fluctuating temperature, at around the figure we have recommended in our guide. Once several of the seeds start to germinate the temperatures can be reduced by about 5 degrees F and ventilation and light should be given. Some perennials and tree and shrub seeds can be very slow and erratic in germination. This may sometimes be due to seed dormancy, a condition which prevents the seed from germinating even when it is perfectly healthy and all conditions for germination are at optimum. The natural method is to sow the seeds out of doors somewhere where they will be sheltered from extremes of climate, predators, etc. and leave them until they emerge, which may be two or three seasons later. Dormancy, however, can be broken artificially and our section Nos. 12-16 deals with this. This page maybe hard to read on a mobile platform. Please use a desktop or print this PDF. Do not chip or mark the seed coat at all but merely remove the orange tuft and soak for up to 2 hours, or even overnight. Sow the seeds in moist sand, pressing them into the sand until only a small part of the black seed is visible and grow in a temperature of 75 degrees F in the dark and ensure that the sand always remains moist. From 7 days onwards inspect the container once a week and as soon as any bulges, roots or shoots are seen remove the germinated seed and pot up in a compost of half peat and half sand. We find that Strelitzias often produce a root without a shoot and we have also found that the young shoots and roots are susceptible to fungal attack. Therefore as soon as possible pot up and provide light and fresh air. Germination can start within 7 days and carry on for 6 months or more. All these items can take several months to germinate and are very erratic in germination. Soak for at least 2 hours in warm water before sowing. (After soaking the parchment shell on the Coffee seeds should be removed with the fingernail). Sow in Levington or Arthur Bowers (compost and place in the dark in a temperature of 75 degrees F, keeping the compost moist at all times, but not wet. Inspect regularly and occasionally dig around in the compost with a penknife. We normally sow our seeds just below the surface of the soil and we have found that sometimes they make a very vigorous root without producing a shoot at all. If you find a seed with a root then it should be excavated and potted up into a 3-4” pot immediately when it will produce a shoot. Cycads prefer to be potted up into a compost of half sand and half peat. The Tea requires the above treatment but in a lower temperature of 60-65 degree F.
Sow these seeds immediately on receipt in Levington or a peat-based compost, covering with a 1/2 ” compost. Water and place in the dark in a temperature of 65-70’F. Germination should occur within 3 weeks. The fern spore needs a fine film of moisture over which to swim in order to complete the process of reproduction, therefore a good peat compost, such as Levington, ought to be used pressed down very firmly and which is a lot more moist than one would normally have it in order to provide the moisture film. The spore (seed) should be sprinkled close together on the surface of the soil and not covered and the container should be covered with a piece of glass and placed in diffused light, but not darkness. It is essential to ensure that the compost remains moist at all times. Germination which commences with the appearance of a film of green jelly over the soil can take anything from 1 -5 months. You may wish to try germinating the fern spore on blotting paper which is placed in a saucer and kept moist at all times. A transparent cover is inverted over the saucer and the whole lot placed in a well lit but not sunny position. You can actually see the fern spores developing and when you can see small plantlets appearing along the jelly the blotting paper should be lifted and placed on the surface of a container of Levington compost and watered well. It should then be covered with a transparent cover which can remain there until the plants are quite large. These seeds should be sown on the surface of the compost and not covered. The compost should be quite moist and we would recommend that you cover the seed container with a piece of glass or clear plastic and leave in a temperature of approximately 65 degrees F in a position which receives diffused light. Once some of the seeds have germinated air should be admitted gradually otherwise the seedlings may damp off. Alternatively, the seeds can be sown on to moist blotting paper or kitchen towel placed in a saucer. Cover with a transparent cover and place on a windowsill which receives plenty of light, but not direct sunlight. Keep the blotting paper wet at all times and when the tiny seedlings are large enough to handle prick out into small pots. If the INSECT EATERS are sown using the first method described the compost requires to be both moist yet free draining. Use only pure peat with no fertilizers added to which sphagnum moss should be added if available. 6. Alstroemeria; Bonsai; Clematis; Hardy Cyclamen; Eucalyptus; Flower Lawn; Helleborus; Hosta; Primula; Iris and similar. Sowing OCTOBER-FEBRUARY. Sow the seeds in John Innes seed compost, covering them with a thin layer of compost. After watering place the seed container outside against a North wall or in a cold frame, making sure they are protected against mice, and leave them there until the spring. The compost should be kept moist but not wet at all times, and if the seed containers are out in the open then some shelter has to be given against excessive rain. In the spring bring the seed containers into the greenhouse, or indoors on to a well lit but not sunny windowsill and keep the compost moist. This should trigger off germination. If the seeds do not germinate in the spring keep them in cool moist conditions throughout the summer. As each seed germinates we would recommend that you transplant it almost immediately into its own pot. Sowing MARCH-SEPTEMBER. Sow in John Innes seed compost, or something similar, and place each container in a polythene bag and put into the refrigerator (not the freezer compartment) for 2-3 weeks. After this time place the containers outside in a cold frame or plunge them up to the rims in a shady part of the garden border and cover with glass or clear plastic. Some of the seeds may germinate during the spring and summer and these should be transplanted when large enough to handle. The remainder of the seeds may lay dormant until next spring. Germination of some items, particularly Alstroemeria, Clematis, Hardy Cyclamen and Christmas Rose (Helleborus) may take 18 months or more. An alternative method for growing PRIMULAS is to sow in a peat based compost which has already been moistened and do not cover the seed. Cover the container with a piece of glass or plastic and grow in the dark in a steady temperature of 60F. This is quite adequate and over 65’F germination will be inhibited. When the seeds start to germinate sprinkle a thin layer of fine compost over them and when the seed leaves come through this, move the box to a well-lit place with a temperature of 55’F. At no time should the seed box be in full sun. 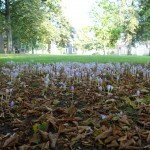 Hardy Cyclamen have been found to germinate best in total darkness at around 55-60’F. We have had good results with the following method. Place the seeds between two pieces of damp filter paper, Kleenex tissue, etc., then put into a polythene bag and place this into an opaque container in order to exclude all light. Inspect the seeds after a month and remove and prick out as the seedlings appear, returning the ungerminated seeds to total darkness. Soak the seeds for 24 hours and sow in Levington compost, or something similar, and place in a temperature of 50-60’F. Germination can sometimes be slow. We recently found that this subject requires a well-drained compost which is completely free from fertilizer (e.g. moss peat and sand in equal parts). Sow by barely covering the seed and place a sheet of glass over the container, and leave in a temperature of 65-75’F. Turn the glass daily as excessive condensation can kill the young seedlings. On germination, the seedlings look very thin and spindly and the glass should be removed almost immediately and the seed container moved to a well lit but not sunny position. Prick out as soon as possible into a compost of 50% pure peat and 50% sand. Keep moist and shaded until established. Make very shallow furrows in compost with a plant label and sow in these. No seed should be completely buried. Water from beneath and cover with glass and brown paper or black Polythene. Place in a dark position in a temperature of 70-75F and keep moist. On germinating move to a light but not sunny windowsill, give plenty of ventilation and water from beneath. Pot up when they begin to overcrowd. During the first winter only keep warm and do not allow to get too dry. If it is not possible to grow warm then keep them drier. Subsequent years keep relatively dry through the winter. Can be planted outside, plunged to the rim, all summer if required. Successful germination of seeds of some lilies requires a period of warmth followed by one of cold. Method 1. Put seeds in a screw-top jar in moist (not wet) peat and keep at 70-75F for 3-4 months. Inspect regularly, any normal seedlings (that is having root and seedling leaves) should be pricked out as they germinate. Any seeds which produce roots but not seedling leaves, sow in a pan and keep at 32-40’F for 3 months. Seed leaves and normal growth will follow. Method 2. Sow in a pan in summer (warm spell); put in a frame (or outside covered by a piece of glass) for the winter. Seeds will germinate in spring. Soil Humus rich (peat or leafmould) lime free and very free drainage (use 1/3 grit). Never overwater, keep bulbs almost dry from November to March. A method which has proved useful for not only small delicate seeds but for a wide range of types is the Polythene bag method. The seeds should be sown on the surface of the moist compost, covered to their recommended depth if necessary and the container is then placed inside a Polythene bag after which the end is sealed with an elastic band. The bag should ‘fog-up’ with condensation within 24 hours and if this does not occur place the container almost up to its rim in moisture until the soil surface glistens, then replace in the bag and reseal. The bag is not removed and normally no more watering is required until the seeds germinate. However, it is wise, if left for a long period to check the compost occasionally. The seed container, bag etc. should be placed in a well-lit place with a steady temperature. As soon as a fair number of the seedlings emerge to remove the polythene bag, lower the temperature a few degrees and provide plenty of light, but not bright sunshine, to ensure that sturdy seedlings develop. It is also helpful to spray the seedlings occasionally for the first 14 days. Some seeds, e.g. Sweet peas, lpomaea etc., have hard seed coats which prevent moisture being absorbed by the seed. All that is needed is for the outer surface to be scratched or abraided to allow water to pass through. This can be achieved by chipping the seed with a sharp knife at a part furthest away from the ‘eye’, by rubbing lightly with sandpaper or with very small seed pricking carefully once with a needle etc. Some of our geranium seeds have already been treated in this way when you receive them. Soaking is beneficial in two ways; it can soften a hard seed coat and also leach out any chemical inhibitors in the seed which may prevent germination. 24 hours in water which starts off hand hot is usually sufficient. If soaking for longer the water should be changed daily. Seeds of some species (e.g. Cytisus, Caragana, Clianthus) swell up when they are soaked. If some seeds of a batch do swell within 24 hours they should be planted immediately and the remainder pricked gently with a pin and returned to soak. As each seed swells it should be removed and sown before it has time to dry out. Some seeds need a period of moisture and cold after harvest before they will germinate-usually this is necessary to either allow the embryo to mature or to break dormancy. This period can be artificially stimulated by placing the moistened seed in a refrigerator for a certain period of time (usually 3- 5 weeks at around 41 F). With tiny seeds, it is best to sow them on moistened compost, seal the container in a Polythene bag and leave everything in the refrigerator for the recommended period. However, larger seeds can be mixed with 2-3 times their volume of damp peat, placed directly into a Polythene bag which is sealed and placed in the refrigerator. Look at seeds from time to time. The seeds must be moist whilst being pre-chilled, but it doesn’t usually benefit them to be actually in water or at temperatures below freezing. Light also seems to be beneficial after prechilling and so pre-chilled seeds should have only the lightest covering of compost over them if any is required, and the seed trays etc. should be in the light and not covered with brown paper etc. Some seeds have a combination of dormancy’s and each one has to be broken in turn and in the right sequence before germination can take place; for example, some Lilies, Tree paeonies, Taxus need a three month warm period (68-86’F) during which the root develops and then a three month chilling to break dormancy of the shoots, before the seedling actually emerges. Trillium needs a three-month chill followed by three months of warmth and then a further three-month chill before it will germinate. The above-mentioned methods (12-15) accelerate the germination process and help to prevent seeds being lost due to external hazards (mice, disease, etc.) but outdoor sowing is just as effective albeit longer. The seeds are best sown in containers of free draining compost and placed in a cold frame or plunged up to their rim outdoors in a shaded part of the garden, preferably on the north side of the house avoiding cold drying winds and strong sun. Recent tests show that much of the beneficial effects of pre-chilling are lost if the seed is not exposed to light immediately afterward. We, therefore, recommend sowing the seeds very close to the surface of the soil and covering the container with a sheet of glass. An alternative method especially with larger seeds is to sow the seed in a well-prepared ground, cover with a jam jar and press this down well into the soil so that the seeds are enclosed and safe from predators, drying out etc. We would also recommend you consult No. 6 which contains further practical suggestions regarding the special treatment of seeds. The usual time period in which a particular variety will germinate given optimum conditions. Seeds needing light should have no newspaper, brown paper etc. placed over the trays. Seeds needing dark for germination should be placed in total darkness. -prick out each seedling as it becomes large enough to handle and don’t discard the container until well over the time suggested. A steady temperature between these limits is recommended-fluctuating temperatures can damage a seedling in its critical early stages. Most reputable seed composts will be quite adequate and we have indicated where a loam-based type such as John Innes or a peat-based type such as Levington would be slightly more suitable. On no account should potting composts, which have additional fertilizers, be used. If in doubt sow shallowly, but always ensure that the compost surface is damp. J.C. =Just cover the seed with compost or sharp sand. S=Sow on the surface and do not cover at all with compost. Where recommended under the heading of comments, these seeds can be sown out of doors. Moist soil worked down to a fine tilth is essential. For hardy annuals and perennials, sowing can be carried out from late winter onwards as soon as the ground is workable and has warmed up and half-hardy annuals after all danger of frost is passed. Many seeds, particularly in the house plant range, can be sown indoors at almost any season of the year. Others, for example, bedding plants, have a much-limited sowing season because the plants need to be at just the right stage when planted out. We, therefore, offer the following general guidelines to sowing times. Your actual time of sowing will depend a great deal upon the steady temperature you can maintain in your greenhouse/propagator, soil, local conditions etc. HA              Hardy Annual                    Late winter/early spring. HHA             Half Hardy Annual               Early/ late spring. Normally 4-8 weeks before planting outside. GP              Greenhouse Perennial            Anytime of year. HP              Hardy Perennial                 Late winter/late spring and late summer/autumn. HHP             Half Hardy Perennial            Late winter/spring. HHBB            Half Hardy Bulb                 Late winter/spring. HB              Hardy Biennal                   Late spring/early summer. HHB             Half Hardy Biennal              Summer/autumn. HSh             Hardy Shrub                     Winter/late spring and late summer/autumn. HHSh            Half Hardy Shrub                Any time of year. HT              Hardy Tree                      Winter/late spring and late summer/autumn. HHT             Half Hardy Tree                 Any time of year. Any plant which is to be planted outside (HA, HHA, HHP, HHSh.) should be well hardened off beforehand. This is best achieved by placing the plants outside in a cold frame for around a week before planting out. The frame can be left uncovered during mild weather but always replaced at night. Alternatively, if no frame is available to move the boxes outside to a sheltered spot during the day and bring indoors at night. Trees and shrubs are farther down the list. The "ˆ" stands for slow and irregular germination. Abarema        GP        7-56               70-75  Peaty           1/4" 	Scarify seed by rubbing between 2 pieces of emery paper. Abelmoschus    HHA       15-30              75-80  Well drained    1/16" 	Soak 1 hour in lukewarm water before sowing. Acacia         HHSh      21                 70-80  Well drained    1/16"	See No. 13. Soak in warm water for 4 hours. Acaena         HP        30-100         ˆ   50-60  Well drained    1/4"
Acanthus       HP        21-25              50-55  Peaty           1/4". Achillea       HP        30-100   L     ˆ   60-65  Well drained    S		Reduce soil temperature at night. Achimenes      GP        21-30              65-75  Well drained    S		See No. 5. Seed is very small. Acnistus       HHSh      21-42              55-65  Well drained    1/16"
Aconitum       HP        5-270    L     ˆ   55-60  Well drained    1/16"	See Nos. 6 & 14. Place in a fridge for 6 weeks. Actaea         HP        30-365         ˆ   55-60  Well drained    JC		See No. 14. (Pre-chill for 6-8 weeks). Actinidia      HP        60-90          ˆ   50     Well drained    1/8"		Male & Female flowers are borne on separate plants. Adansonia      GSh       21-365         ˆ   70-80  Peaty           1/16"	Soak in hand hot water. See No. 13. Adenanthera    GSh       30-90              70-75  Well drained    JC		See No. 13. Soak in hot water. Aechmia        GP        7-90     L     ˆ   60-70  Peaty           S		See No. 5. Agastache      HP        30-90              55     Well drained    1/16 "
Alchemilla     HP        21-30              60-70  Well drained    1/8"
Allium         HBb       30-365   L         50     Well drained    JC		See No. 14. Place in fridge for 4 weeks. Alonsoa        HHA       14-21              60     Well drained    1/16"	Cover seed with silver sand. Alpina         GP        30-90              70-75  Peaty           1/8"
Alstroemeria   HP        30-365         ˆ   65-70  Peaty           1/16"	See No. 13. Soak in warm water. Sow singly in pcrts. Alyssum        HA        7-14     L         55-75  Peaty           S		Annuals can be sown in situ. Amaranthus     HHA       10-15              70-75  Peaty           1/16"
Amaryllis      HHBb      21-70          ˆ   65-75  Peaty           1/16"  	Do not dry off in the first year after sowing. Ammi           HHA       7-21               55-65  Well drained    1/16"
Ammobium       HHA       10-15              60     Well drained    1/16"
Anagallis      HHA       30-42              50-65  Well drained    1/8"
Androsace      HP        30-365         ˆ   50-55  Well drained    S		See No. 16. Anemone        HP        28-180         ˆ   65-70  Well drained    JC		See No. 6. Anemonopsis    HP        30-18O   L     ˆ   55-60  Well drained    S		Sow in lime free compost. Anigozanthus   GP        30-90    L         60-65  Peaty           S		See No. 5. Antennaria     HP        30-69              55-60  Well drained    JC		Just cover with silver sand. Anthericum     HP        30-90              50     Well drained    1/8"
Anthyllis      HP        30-60              50     Well drained    1/8"		See No. 13. Soak in warm water overnight. Arabis         HP        20-25    L         70     Well drained    S		Can be sown in situ. Arachis        GA        7-21               70-75  Peaty           1/4"		Sow, then place inside a polythene bag until germination. Ardisia        GSh       90-180             75     Well drained    1/4"
Aristolochia   GSh       30-90          ˆ   75-85  Peaty           S		See No. 13. (Soak 48 hours in hand hot water). Armeria        HP        14-21              60-70  Well drained    JC		See No. 13. (6-8 hours in hand hot water). Arnica         HP        25-30              55     Well drained    JC		Likes an acid sandy soil. Arum           HP        30-l80         ˆ   55-65  Peaty           1/8"
Asarum         HP        7-30               60-65  Well drained    1/16"	Sow as soon as possible. Asclepias      GP, HP    30-90          ˆ   50-75  Peaty           1/16"	See No. 14. (Pre-chil for 3-4 weeks). Asparagus      GP        21-30              60-70  Peaty           1/4"		Soak then chip. See Nos. 12 and 13. Asperula       HA        30-42    L         50     Well drained    1/16"	Can be sown in situ or No. 14. (Pre-chill 2 weeks). Aster          HHA       10-14              65-70  Well drained    1/16"	Pre-chill perennial asters, see No. 14. (Pre-chill 2 weeks). Astilbe        HP        40-80              65     Peaty           S		See No. 5. Astrantia      HP        30-180   L     ˆ   55-65  Well drained    S		See   No. 14. (Pre-chill for 4 weeks). Atropa         HP        21-30              50     Well drained    1/16"
Aubrieta       HP        14-21    L         65-75  Well drained    S		See No. 5. Balsamorrhiza  HP        14-42              60-65  Well drained    1/16"
Banana (Musa)  GP        7-180          ˆ   70-80  Peaty           1/2²		See No. 2. Banksia        HHSh      30-90          ˆ   65-70  Peaty           S		See No. 5. Baptisia       HP        7-10               70-75  Well drained    1/4"		Soak then chip. See Nos. 13 and 12. Bauhinia       GSh       21-42              75-85  Peaty           1/4"		See No. 13. (Soak 48 hours in hand hot water). Beaufortia     HHSh      14-60    L         55-65  Peaty           S		See No. 5. Beaumontia     GSh       7-30               70-75  Peaty           1/16"
Begonia        HHP       15-60    L     ˆ   70-80  Peaty           S		See No. 5. Fibrous 70-75°F, tuberous 65-70°F. Belamcanda     HP        14-60          ˆ   60-86  Well drained			See No. 14. (Pre-chill for 7 days). Bellis         HB        10-15    L         70     Peaty           1/16"	Reduce soil temperature at night. Beloperone     GP        30-180   L     ˆ   70-75  Peaty           S		See No. 5. Bergenia       HP        30-180         ˆ   60-70  Peaty           S		See No. 14. (Pre-chill for 2 weeks). Beta           HB        14-21              55-65  Well drained    1/4"		Usually sown in situ. Billbergia     HHP       7-90     L         60-70  Peaty           S		See No. 5. Biscutella     HHA       14-21              55-65  Well drained    JC		Can be sown in situ. Bletilla       HHP       30-365   L     ˆ   65-70  Peaty           S		See No. 5. Boea           GP        20-60    L     ˆ   70-75  Peaty           S		See No. 5. Boronia        GSh       30-60    L         65-75  Peaty           S		See No. 5. Bromeliads     GP        7-90     L     ˆ   60-70  Peaty           S		See No. 5. Browellia      GP        14-21    L         75     Peaty           S		See No. 5. Cacti          GP        5-180    L     ˆ   75-80  Peaty           S		See No. 9. Caesalonia     HhSh      14-120         ˆ   75-80  Well drained    1/4"		See No. 13. (Soak 48 hours in hand hot water). Calceolaria    GB        14-21    L     ˆ   65-75  Peaty           S		Outdoor varieties keep temperature below 60°F. 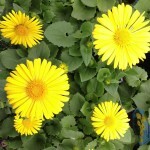 Calendula      HA        10-14    D         70     Any             1/4"		Can be sown in situ, or autumn for winter greenhouse flowers. Callirhoe      HP        30-180+  L     ˆ   50     Well drained    S		Can be sown in situ or a cold frame. Callistemon    HHSh      14-60    L         55-65  Peaty           S		See No. 5. Caltha         HP        30-90          ˆ   55-60  Peaty           1/16"	Keep compost slighty moist. Camassia       HBb       30-180         ˆ   55-60  Well drained    1/16"
Campanula      HP, HB    14-28    L         60-70  Peaty           S		See No. 5. Campsis        HHSh      30-90          ˆ   70-75  Well drained    S		See No. 14. (Pre-chill for 2 months). Candytuft      HA, HP    10-15              68-85  Well drained    1/4"		Can be sown in stiu. Perennials (60-65°F) can be slow and irregular. Canna          HHP       21-60          ˆ   70-75  Peaty           1/4"		See Nos 12 & 13, chip and soak for 48 hours. Cardiocrinum   HBb       90-730         ˆ   50     Peaty           1/16"	See No. 6. Cardiospermum  HHA       21-30              65-70  Well drained    1/2"
Carica         GSh       30-120         ˆ   75     Peaty           1/8"		See No. 13. (Soak for 40 hours). Cassia         GSh       7-90               70-75  Well drained    1/8"		See No. 12. Catananche     HP        21-25              65-75  Well drained    1/16"
Catharanthus   GA/HHA    15-20    D         70-75  Peaty           1/8"
Celosia        GA        10-15    L         70-75  Well drained    JC     	Do not sow too early - likes warm bouyant conditions. Centaurea      HP, HA    7-14     D         60-70  Well drained    1/16"
Centranthus    HP        21-30              60-70  Well drained    JC		Can be sown in situ. Cephalaria     HP        21-60              55-65  Well drained    1/4"		Can be sown in situ. Cerastium      HP        5-10               60     Well  drained   1/16"
Ceratotheca    HHA       8-14               70-75  Well drained    1/8"
Cheiranthus    HB        14-21              65-75  Well  drained   1/8"		Sow in a reserve bed, prick out 6" apart. Plant out in Oct.
Chelidonium    HP        30-365         ˆ   55-65  Well drained    1/8"		See No. 16. Chelone        HP        14-42              55-65  Well drained    1/16"	Needs good drainage. Chiastophyllum HP        30-60              55     Well drained    S		Seeds very small. Chionodoxa     HBb       30-90          ˆ   55     Well drained    1/4"
Chlorogalum    HBb       30-90          ˆ   55-80  Well drained    1/8"		See No. 6. Chrysanthemum  HA, HP    10-18              60-70  Peaty           1/8"		Annuals can be sown in situ. HP's reduce temperature at night. Cimicifuga     HP        30-365         ˆ   55-60  Well drained    1/16"
Cirsium        HP        15-18              70-75  Well drained    1/8"
Clarkia        HA        21                   -    Well drained    1/4"		Best sown in situ, as sturdier plants are produced. Claytonia      HA        14-21              65-70  Well drained    1/8"
Clematis       HP        30-270+        ˆ   70-75  Well drained    1/8"		See Nos. 6 & 16. Cleome         HHA       10+14    L         70-75  Well drained    S		See No. 14. (Pre-chill for 2 weeks). Clerodendrum   GSh       21-60          ˆ   70-75  Well drained    1/8"
Clianthus      GSh       14-42              65-70  Well drained    1/16"	See No. 13. Clintonia      HP        30-90              55-60  Sandy peat      JC		Keep compost always just moist. Clitoria       GP        15-20              70-75  Well drained    1/16"	See Nos. 12 and 13. (Chip and soak for 24 hours). Clivia         GP        7-21               80-85  Peaty           1/4"		Sow immediately. See No. 3. Cobaea         HHA       21-30              70-75  Well drained    1/16"	Stick the seed vertically into the compost. Coccoloba      GSh       10-21              65-70  Well drained    1/4"		See No. 13. (Soak for 24 hours). Coffea         GSh       42-56    L         75     Peaty           S		See No. 2. (Soak for 48 hours). Colchicum      HBb       30-365         ˆ   55-65  Peaty           1/8"		See No. 16. Coleus         HHP       10-20    L         65-75  Peaty           S		Indoors, likes to be warm with plenty of bright light. Collinsia      HHA       14-21                -    Well drained    1/4"		Best sown in situ, thin out to 6'. Collomia       HA        21                   -    Well drained    1/8"		Best sown in situ, thin out to 6". Commelina      HHP       30-37              70     Well drained    1/8"
Convallaria    HP        60-365+  L     ˆ   50-60  Well drained    JC		See No. 16. Convolvulus    HA        5-14               70-80  Well drained    1/8"		Chip (12) or soak (13) the seeds. Cordyline      GP        30-90              75-80  Peaty           1/16"	See No. 13. (Soak for 10 minutes in hand hot water). Cortaderia     HP        14-21    L         60-75  Peaty           S		See No. 5. Cotula         HHA       14-42              50     Well drained    1/16"
Crambe         HP        21-42                -    Well drained    1/2"		Best sown In situ. Craspedia      HHA       14-30              70-75  Peaty           1/8"		Can be sown in situ. Crocosmia      HP        30-90              55-60  Well drained    1/16"
Crocus         HBb       30-180         ˆ   55-65  Well drained    1/8"
Crossandra     GP        25-30    L     ˆ   75-80  Peaty           S		See No. 5. Cunonia        GSh       30-60              70-75  Peaty           1/16"
Cyananthus     HP        14-60    L         60-65  Peaty           S		See No. 5. Cycad          GP        30-90          ˆ   70-75  Well drained			Half bury the seed lengthwise. Cyclamen       GP        30-60    D     ˆ   55-60  Peaty           1/4"		Keep moist and in total darkness. Cyclamen       HP        30-18O   D     ˆ   55-60  Peaty           1/4"		See No. 6. Cynara         HP        14-30              50-55  Well drained    1/8"		Can be sown In situ. Cynoglossum    HA        5-10     D         65-75  Peaty           1/4"
Cyperus        HHP       25-30              70-75  Peaty           JC		Keep the compost slighty moist. Cyphomandra    GP        20-25              70-75  Peaty           1/16"
Cyphostemma    GP        30-60          ˆ   70     Well drained    1/4"		See No. 13. (Soak for 2 hours). Cypripedium    HP        30-365   L     ˆ   65-70  Peaty           S		See No. 5. Very difficuft outside the laboratory. Dahlia         HHA       5-20               65-70  Peaty           1/16"  	Do not let the compost dry out. Darlingtonia   HP        30-90          ˆ   75-80  Peaty           S      	Do not let the compost dry out. See also No. 5. Datura         HHSH      21-42              55-65  Well drained    1/8"
Delonix        GT        30-90          ˆ   75-85  Peaty           1/16"	See No. 13. (Soak for 24 hours). Delphinium     HP        14-28    D     ˆ   50-55  Peaty           1/16"	High temps. cause dormancy. See No. 14. (Pre-chill for 2 weeks). Desmodium      GA        30-90              75-80  well drained    1/16"
Dianella       H/HHP     30-90              65-70  Well drained    1/16"
Dicentra       HP        30-180   L     ˆ   55-60  Well drained    JC		See No. 14. (Pre-chill for 6 weeks). Dictamnus      HP        30-180         ˆ   55-60  Well drained			See No. 14. (Pre-chill for 4-8 weeks). Dierama        HP        30-180   L     ˆ   60-65  Well drained    S		See No. 5. Digitalis      HP, HB    15-20    L         60-65  Peaty           S		Can be sown in situ. Dionaea        GP        30-90    L     ˆ   75-80  Peaty           S		See No. 5. Dioon          GP        30-90          ˆ   70-75  1/2 peat, 1/2 sand 1/4"	See No. 2. Dioscorea      HP        21-36              70-75  Peaty           1/8"
Disporum       HP        30-180+  L     ˆ   55-65  Well drained    JC		See No. 14. (Pre-chill for 6 weeks). Dodecatheon    HP        90-365             60-70  Well drained    1/16"	See No. 6. Dolichos       HHA       14-30              70     Well drained    1/16"	See No. 13. Doryanthes     HHP       30-60              65     Peaty           JC		See No. 13. (Soak for 3 hours). Draba          HP        30-90          ˆ   55     Well drained    JC		See Nos. 6 and 14. Drosera        GP        30-90    L         55-65  Peaty           S		See No. 5. Dryas          HP        50-180         ˆ   60-70  Well drained    JC		See No. 6. Echinacea      HP        10-21    L         70-75  Peaty           1/8"		Reduce soil temperature at night. Echinops       HP        15-60              65-75  Peaty           1/16"
Echium         HA        7-14               70     Well drained    1/4"		Can be sown in situ. Edraianthus    HP        30-60    L         55-65  Well drained    1/16"
Emilia         HHA       8-15               70     Well drained    1/16"
Epilobium      HP        14-30              50-60  Well drained    1/8"
Episcia        GP        25-40    L         70-80  Peaty           S		Seeds dust like. See also No. 5. Eranthis       HBb       30-365         ˆ   60-68  Well drained    1/16"	See No. 6 and 14. Erica          GP        30-120   L     ˆ   60-70  Acid Peat       S		See No. 5. Eriobotrya     HHSh      30-180         ˆ   50     Well drained    JC		See No. 13. (Soak for 24 hours). Eriophyllum    HP        14-42               -     Well drained    1/8"		Best sown outdoors and transplanted. Eryngium       HP        5-90     L     ˆ   65-75  Well drained    S		See No. 6. Erysium        HP        14-30                -    Well drained    1/4"		Sow in situ. Erythrina      HHSh      10-15              70-75  Peaty           1/8"		See No. 13. (Soak for 24 hours). Erythronium    HBb       30-365         ˆ   50-60  Well drained    1/8"		See No. 6. Eschscholtzia  HA        14-21              60-65  Well drained    1/4"		Resents transplanting, best sown in situ. Eucalyptus     HHSh, HT  14-90          ˆ   70-75  Peaty           S		Sow seed and chaff together. See No. 14. (Pre-chill for 4 weeks). Eucnide        HHA       21-30              60-70  Well drained    1/8"
Eucomis        GBb       20-25              70-75  Peaty           1/16"
Euphorbia      HHA,HP,GSh10-15          ˆ   70-80  Well drained    1/4"		Pre chill HPs for 7 days and then soak for 2 hours.Sow in lime free compost(Ericaceous). Exacum         GA        15-20    L         70-75  Peaty           S		Seed dust like. See No. 5. Fascicularia   HHP       30-120   L     ˆ   60-70  Peaty           S		See No. 5. Fatsia         HHSH      15-20              70-75  Peaty           1/4"		Keep the compost slightly moist. Faucaria       GP        14-30          ˆ   60     Well drained    JC		Just cover with sharp sand. Feijoa         HHSH      21-42              55-60  Peaty           1/16"	Rinse seeds 3 times before sowing. Felicia Amelloides HHP   30                 55-60  Well drained    JC		See No. 14. (Place in fridge for 3 weeks). Ferns          HP, GP    30-180   L         65     Peaty           S		See No. 4. Ficus          GSh       15-90    L     ˆ   70-80  Peaty           S		See No. 5. Flower Lawn    HP        30-180   L     ˆ   55-65  Well drained    S		See Nos. 6 or 16. Foeniculum     HP        10-14    D         65     Well drained    1/8"		Dislikes transplanting, sow in situ. Francoa        HHP       14-30    L     ˆ   50-55  Peaty           S		See No. 6. Freesia        HHBB      25-30          ˆ   65-75  Peaty           1/4"		See No. 7. Fritillaria    HBb       330-540        ˆ   55-M   Peaty           1/16"	See No. 6. Fuchsia        GP        21-90    L     ˆ   70-75  Peaty           S		See No. 5. Soak in rain water for 3-4 days. Keep compost moist. Gaillardia     HP, HHA   15-20    L     ˆ   70-75  Peaty           S		Reduce soil temperature at night. Galega         HP        14-60              -      Well drained    1/4"		Best sown outdoors and transplanted. Galtonia       HBb       15-20          ˆ   70     Peaty           1/16"
Gardenia       GSh       25-30              70-75  Peaty           1/8"		Use a lime free compost (Ericaceous). Gaura          HHA       14-30              65-75  Well drained    1/16"
Gazania        HHA       8-21     D         60-65  Well drained    1/8"
Gentiana       HP        14-180   D     ˆ   70-75  Lime free       JC		See No. 14. (Pre-chill for 2 months). Gentianopsis   HA        21-30    L          -     Well drained    S		Sow outdoors and thin. Sensitive to root disturbance. Geranium       HP        30-90          ˆ   50     Well drained    JC		See No. 6. Gerbera        GP        15-25    L         70-75  Peaty           JC		Sow sharp end down, don't cover completly. Gesneria       GP        14-21    L         70-75  Peaty           S		See No. 5. Geum           HP        21-28+         ˆ   65-70  Peaty           1/16"	Reduce soil temperature at night. Gilia          HA        17                  -     Well drained    1/8"		Sow outdoors and thin out. Glaucium       HA        14-21    D         60-65  Well drained    JC		Transplant carefully, best sown In situ. Globularia     HP        10-30    L         55     Well drained    S		See No. 14. (Pre-chil for 3 weeks). Gloriosa       HHBb      30                 70-75  Peaty           1/16"
Gloxinia       GP        15-30    L     ˆ   65-75  Peaty           S		See No. 5. Gourds         HHA       15-29              80     Peaty           1/4"		Can also treat as No. 5. Grass Tree     HHP       30-180   L     ˆ   65     Peaty           S		See No. 4. Grevillea      HHSh      20-25    L         75-80  Well drained    S		See No. 13. (Soak for 24 hours). Gunnera        HP        14-60          ˆ   70-80  Peaty           1/16"
Guzmania       GP        7-90     L     ˆ   60-70  Peaty           S		See No. 5. Hacquetia      HP        30-180         ˆ   55     Well drained    JC		See No. 16. Haplopappus    HP        21-30              60-70  Well drained    1/8"
Hardenbergia   HHP       30-90          ˆ   55-65  Well drained    1/8"		See No. 13. (Soak for 24 hours). Harpephyllum   GP        10-30              70-75  Peaty           1/4"		See No. 13. (Soak for 24 hours). Hedychium      HHP       20-25              70-75  Peaty           1/16"	See No. 13. (Soak for 2 hours). Hedysarum      HP        14-42              55-65  Well drained    1/16"
Helenium       HP        7-10               70     Peaty           1/16"	Can be sown in situ. Reduce soil temperature at night. Helianthemum   HP        15-20              70-75  Well drained    S		See No. 5. Helianthus     HA        10-14              70-85  Peaty           1/4"		Can be sown in situ. Heliophila     HHA       14-21              60-65  Well drained    1/16"
Heliopsis      HP        10-15              70     Well drained    1/16"
Heliotropium   HHP       14-42          ˆ   65-75  Well drained    1/16"
Helleborous    HP        30-545         ˆ   60-65  Well drained			See No. 6. May need to go through two winters outdoors. Hemerocallis   HP        21-49              60-70  Well drained    1/8"		See No. 14. (Pre-chill for 6 weeks). Hepatica       HP        30-360   L         50-55  Well drained    JC		See No. 14. (Pre-chill for 3 weeks). Heracleum      HP        30-90               -     Well drained    1/4"		Sow in situ. See No. 6. Hesperis       HB        20-25    L         70-85  Peaty           S		Can be sown in situ. Reduce soil temperature at night. Hibiscus       HHP, GA   15-30          ˆ   75-80  Peaty           1/16"	Chip and soak. See Nos. 12 & 13. Hippeastrum    HHBB      30-42              75     Pemy            1/8"
Hollyhock      HA, HP    10-12    L         60-70  Peaty           S		Can be sown in situ. Hosta          HP        30-90          ˆ   50     Peaty           1/16"	Keep compost slighty moist. Humulus        HP        25-30              70-75  Well drained    1/4"		Can be sown in situ. Hunnemannia    HHA       15-20              70-75  Well drained    1/16"	Can be sown in situ. Makes a nice pot plant. Hutchutinsia   HP        14-30               -     Well drained    1/4"		Sow in situ. Hyoscymus      HB, HA    14-42               -     Well drained    1/8"		Sow in situ. Hyssopus       HP        14-42              60-70  Peaty           1/16"
Iliamna        HP        30-360   L     ˆ   55-65  Well drained    1/16"	See No. 14. (Pre-chill for 3 weeks). Impatiens      HHA       21-30    L     ˆ   70-75  Peaty           S		See No. 5. Maintain a very high humidity until germination. Incarvillea    HP        25-30              55-65  Well drained    S		See No. 5. Indigofera     HHSh      30-90          ˆ   50     Well drained    1/8		See No. 13. (Soak for 24 hours). Ionopsidium    HA        14-21              55-60  Well drained    1/16"	Sow in situ. Ipomaea        HHA       5-21           ˆ   70-85  Peaty           1/4"		Chip and soak. See Nos. 12 and 13. Iris           HP        30-545         ˆ   60-70  Peaty           1/4"		See No. 6. May take two winters outdoors. Isatis         HB        14-42              50     Well drained    1/16"	Sow in situ. Ixiolirion     HBb       30-90          ˆ   50     Well drained    1/16"
Ixora          GSh       30-120         ˆ   70-75  Well drained    1/16"	See No. 14. (Pre-chill for 3 weeks). Jacobaea       HA        8-21               60-65  Well drained    1/8"
Jacobinia      GP        30-180         ˆ   75-80  Peaty           1/8"		See No. 13. soak for 24 hours). Jatropha       GP        30-120         ˆ   65-75  Well drained    1/16"
Kalanchoe      GP        7-30     L     ˆ   65-75  Weil drained    S		Likes good air circulation. Kaulfussia     HA        21-30              -      Well drained    1/4"		Best sown in situ. Thin to 6². Kirengeshoma   HP        30-300             55-65  Peaty           JC		Keep compost uniformly moist. Knautia        HP        10-21                -    Well drained    1/4"		Best sown in situ  Thin to 6'. Lagerstroemia  HHSh      15-20    L         70     Well drained    S		See No. 5. Lagunaria      GT        30-180         ˆ   68-70  Peaty           1/8"		See No. 13. (Soak for 2 hours). Lantana        HHP       42-60          ˆ   70-75  Peaty           1/8"		See No. 13. (Soak 1 day in hand hot water). Lapeirousia    HBb       30-90          ˆ   55-60  Well drained    1/8"
Larkspur       HA        14-21    D         50-55  Peaty           1/16"	See No. 14. (Pre-chill for 2 weeks). High temperatures cause dormancy. Lasthenia      HA        17-21                -    Well drained    1/8"		Best sown in situ  Thin to 4". Lathyrus       HP        20-30          ˆ   55-65  Peaty           1/4"		Soak or chip the seeds. See Nos. 12 or 13. Lavatera       HA, HB, HP15-20              70     Peaty           1/16"
Lavender       HSh       21-90          ˆ   55-65  Well drained    JC		See No. 14. (Pre-chill for 4-6 weeks). Layia          HA        8-30               70-75  Well drained    1/8"
Leea           GP        30-90          ˆ   75-80  Well drained    1/8"		See No. 13. Leontopodium   HP        10-42    L     ˆ   50     Well drained    S		See No. 14. (Pre-chill for 3 weeks). Leptosiphon    HA        17-21              55-65  Well drained    1/16"	Best sown in situ. Leptospermum   HHSh      30-180         ˆ   60     Peaty           1/16"
Leptosyne      HA        6-12     L         60-65  Peaty           1/8"
Lewisia        HP        365+     L     ˆ   50     Well drained    S		See No. 14. (Pre-chill for 5 weeks). Liatris         HP        20-25              55-75  Well drained    JC		Reduce soil temperature at night. Libertia       HP        30-180         ˆ   50     Well drained    1/8"		See No. 6. Ligularia      HP        14-42          ˆ   55-65  Peaty           S		Keep compost slighty moist. Lilies         HBb       30-365         ˆ   65-75  Peaty           JC		See No. 10 for more details. Limonium       HP, HHA   10-20    D         65-70  Well drained    JC		Suworowii needs total darkness to germinate. Linanthus      HA        17-21              -      Well drained    1/8"		Sow outdoors and thin out. Linaria        HP        10-15              55-60  Well drained    JC		See No. 14. (Pre-chill for 3 weeks). Linum          HP        20-25              65     Well drained    1/8"		Best sown in situ. Lobelia        HHA,HHP   15-20    L     ˆ   65-75  Well drained    S		Place seed of perennial types in fridge for 3 months (See No. 14). Lomatia        HHSh      30-180         ˆ   60-65  Well drained    1/8"
Lotus          HHP       14-30          ˆ   55-65  Well drained    JC		Transplant into 3" pots. Lupin          HP        15-60    D     ˆ   55-65  Well drained    1/8"		Soak or chip the seeds. See Nos. 12 or 13. Lychnis        HP        21-30    L         70     Well drained    S		See No. 12. (pre-chill for 2 weeks). Lysichitum     HP        30-60          ˆ   55-65  Peaty           1/4"		Keep compost saturated by standing in water. Lysimachia     HP        30-90          ˆ   55-65  Peaty           S		Keep compost moist. Macropidia     GP        30-90    L         60-65  Peaty           S		See No. 5. Malope         HA        14-30              65-75  Peaty           JC		See No. 14. (Pre-chill for 3 weeks). Malva          HP        5-21               70     Peaty           1/16"
Mandeville     HHSh      14-30              65-75  Well drained    JC		Sow in 1/2 sand and 1/2 peat. Mandragora     HP        50-60              55-60  Peaty           1/8"
Matricaria     HP        5-21     L         65-75  Well drained    S		Reduce soil temperature at night. Maurandia      HHP       14-21              65-70  Well drained    1/16"
Meconopsis     HP        14-28          ˆ   55-65  Peaty           S		Keep slightly moist. See also No. 5. Melia          GT        30-180         ˆ   55     Well drained    1/8"
Melianthus     HHSh      30-180         ˆ   70-75  Peaty           1/16"
Mertensia      HP        30-60          ˆ   55-60  Well drained    1/16"	See No. 14. (Pre-chill for 3 weeks). Metrosideros   HHSh      30-90          ˆ   60-60  Peaty           1/16"
Mimosa         GP        21-30    L     ˆ   70-75  Well drained    S		See No. 13. (Soak for 20 minutes in almost boiling water). Mimulus        HHP, HP   7-21     L         70-75  Peaty           S		See No. 14. (Pre-chill for 3 weeks). Then No. 5. Mina           HHP       20-25              70     Well drained    1/4"		Chip and soak. See Nos. 12 and 13. Moluccelia               21-35    L     ˆ   60     Well drained    JC		Pre-chill for 5 days then 40°F temp. night gives best results. Momordica      HHA       14-21              65-75  Peaty           1/8"		Sow seeds singly in 3' pots. Monarda        HP        10-40              60-70  Peaty           JC		Reduce soil temperature at night. Moraea         HHBb      30-90          ˆ   55-60  Well drained    1/8"
Morina         HP        14-42              50     Peaty           1/16"
Mucuna         GP        21-90              65-75  Peaty           1/4"
Muscari        HBb       42-60              60-65  Well drained    1/16"
Mutisia        H/HHSh    30-90          ˆ   70     Well drained    1/16"
Myosotidium    H/HHP     30-180         ˆ   65-70  Peaty           1/16"
Myosotis       HB        14-30    D         65-70  Peaty           S		See No. 5 but keep in total darkness. Naranjilla     GP        10-30          ˆ   70-80  Peaty           1/16"
Nemesia        HHA       7-21               55-70  Peaty           S		See No. 5. Nemophila      HA        7-21               55     Well drained    1/16"	Can be sown in situ. Neperrthes     GP        30-90          ˆ   75-85  Peaty           S		Dont let compost dry out. See also No.5. Nepeta         HP        7-21               60-70  Well drained    JC		Can be sown in situ. Nerine         HHBb      14-21              65-70  Well drained    S		Sow immediately, keep moist and place in a polythene bag. Nertera        GP        30-90    D     ˆ   65-70  Well drained    SC		See No. 8. Nigella        HA        10-15              65-70  Well drained    1/16"	Best sown in situ. Resents transplanting. Nolana         HHA       14-30              60-70  Well drained    1/16"	Can be sown in situ. Oenothera      HP        15-30    L         65-70  Well drained    JC		Reduce soil temperature at night. Omphalodes     HP        14-42              65-75  Well drained    1/8"
Onopordon      HP,HB     30-60              55-60  Well drained    1/4"		Can be sown in situ. Onosma         HP        30-60              50     Well drained    1/16"
Paeonia        HP        365+     L     ˆ   50-60  Well drained    JC		See No. 16. Keep shaded and moist. Papaver        HP        10-30    D         55     Well drained    S		Best sown in situ. P. Orientale Needs light for germination. Parnassia      HP        30-180         ˆ   55-65  Peaty           S		Stand seed pan in a saucer of water to keep soil always moist. Parochetus     HP        30-90          ˆ   50     Well drained    1/16"	See No. 13. Passiflora     HHP       30-365         ˆ   70-85  Peaty           1/4"		See No. 13. Give the seed container an occasional soaking. Pavonia        GSh       30-60          ˆ   75     Peaty           1/16"
Peanuts        GA        7-21               70-75  Peaty           1/4"		Sow and place inside a polythene bag until germination. Peltiphyllum   HP        30-90    L     ˆ   55-60  Peaty           S		Stand seed pan in a saucer of water to keep soil always moist. Petunia        HHA       10-21    L         70-75  Peaty           S      	F1 hybrids and doubles may need 80°F to germinate. Phacelia       HA        12-30    D         55-65  Well drained    1/4"		Best sown in situ. Total dark required. Phaeomeria     GP        30-90          ˆ   80     Well drained    1/8"
Phaseolus      GP        30-60              65-70  Well drained    1/16"	Chip and soak. See Nos. 12 an 13. Philodendron   GP        30-120         ˆ   75-80  Peaty           1/16"
Phlox-Annual   HHA       10-21    D         55-65  Peaty           1/16"	Sow direct into pots as it resents transplanting. Phlox-PerennialHP        25-30    D     ˆ   70     Peaty           1/16"	See No.14. (Pre-chill for 4 weeks). Physostegia    HP        21-30              55-75  Peaty           JC		Reduce soil temperature at night. Phytolacca     HP        30-60          ˆ   65-70  Well drained    1/8"
Pilea          GP        14-60    L     ˆ   65-75  Peaty           S		See No. 5. Pinguicula     HHP       30-120   L     ˆ   55     Peaty           S		See No. 5. Use a compost 1/2 peat and 1/2 sand. Pittosporum    HHSh      30-60              55     Well drained    1/16"	Place seeds in a bag and dip in boiling water for few seconds. Plumeria       GP        30-180         ˆ   65-75  Peaty           1/16"	See No. 13. Podophyllum    HP        30-180   L     ˆ   55-60  Peaty           JC		Pre-chill for 3 weeks. Keep compost always moist. Polemonium     HP        20-25              70     Peaty           1/16"	Reduce soil temperature at night. Polygonatum    HP        30-545         ˆ   50     Well drained    1/16"	See No. 6. Poterium       HP        30-60          ˆ   50     Well drained    JC		See No. 6. Primula-IndoorsGA, GP    20-25    L     ˆ   55-60  Peaty           S		P.Sinensis needs darkness for germination. Primula-OutdoorHP        21-40    L     ˆ   60-65  Peaty           S		See No. 14. (Pre-chill for 3 weeks). Proboscidia    GA/HHA    15-42          ˆ   70-75  Peaty           1/4"
Protea         HHT       30-90          ˆ   65-75  Peaty           1/4"		Sow immediately. Prunella       HP        30-60              55-65  Well drained    1/16"
Psidium                  30-60          ˆ   70-75  Peaty           JC		See No. 13. Pyrethum       HHA, HP   30-60          ˆ   55     Well drained    JC		Doubleness of flowers increases in 2nd year. Ranunculus     HP        30-90          ˆ   50     Well drained    1/16"	See No. 6. Ratibida       HA/HB/HP  21-42              68-75  Well drained    1/8"		Reduce soil temperature at night. Reseda         HB,HA     5-21     L         70     Well drained    S		Extra care required when transplanting. Rheum          HP        21-42              60-65  Peaty           1/8"
Rhodohypoxis   HP        30-90          ˆ   50     Well drained    JC		Lime free compost required. Rhoeo          GP        14-60              65-70  Peaty           JC		See No. 13. (Soak for 1/2 hour). Ricinus        HHA       15-21              70-75  Peaty           1/4"		These seeds are poisonous. Rochea         HHP       14-42    L         60-70  PBM             S		See No. 5. Roscoea        HP        30-365   L     ˆ   50-55  Well drained    S		See No. 16. Rothmannia     HHSh      30-90          ˆ   70-75  Peaty           1/8"		See No. 13. (Soak for 5 hours). Rudbeckia      HHA, HP   5-21     L         70     Peaty           S		Fulgida see No. 14. (Pre-chill for 2 weeks). Saintpaulia    GP        30-60    L     ˆ   70-75  Peaty           S		See No. 5. Salvia         HHA, HA   10-14    L     ˆ   68-80  Well drained    S		For Patens & Superba see No. 14. (Pre-chill for 3 weeks). Sandersonia    HHBb      30-90          ˆ   75     Well drained    1/8"		See No. 13. Sanguinaria    HP        30-90          ˆ   50-55  Well drained    1/16"
Sanvitalia     HA        10-21    L         70     Well drained    S		Take care when transplanting. Saponaria      HA,HP     10-21    L         70     Well drained    S		See No. 14. (Pre-chill for 3 weeks). Sarracenia     HP        30-90    L     ˆ   75-80  Peaty           S		See No. 14. (Pre-chill for 7 days) then No. 5. Saxifraga      HP        15-60          ˆ   65-75  Well drained    JC		See No. 6. Scabiosa       HA        10-15          ˆ   70-75  Well drained    1/16"
Schefflera     GSh       20-30              75     Peaty           1/16"
Schizopetalon  HHA       6-21               60-65  Well drained    1/16"
Schizostylis   HBb       30-90          ˆ   55-60  Well drained    1/16"
Scilla         HP        30-180         ˆ   50     Peaty           1/16"	See No. 6. Sedum          HP        15-30          ˆ   50     Well drained    S		See No. 6. Senecio        HHA       10-21    L         65-75  Well drained    1/16"
Shortia        HP        30-60          ˆ   60-65  Peaty           S		See No. 14. (Pre-chill for 3 weeks). Sidalcea       HP        14-42              50     Well drained    1/8"
Silene         HP        15-20              70     Well drained    JC		Can be sown in situ. Silybum        HA        14-21              55-60  Well drained    1/8"		Can be sown in situ. Simmondsia     HHT       14-21              65-70  Well drained    JC		See No. 13. (Soak for 12 hours). Sisyrinchium   HP        30-180         ˆ   50     Well drained    1/8"		See No. 6. Smilacena      HP        30-180   L     ˆ   60-65  Peaty           JC		See No. 14. (Pre-chill for 3 weeks). Solanum        GP        15-21    L         70-80  Well drained    S		The plants should be placed outdoors through the summer for pollination. Soldanella     HP        30-180   L     ˆ   55-60  Well drained    JC		See No. 14. (Pre-chill for 4 weeks). Sparaxis       HBb       30-90          ˆ   50-55  Well drained    1/16"
Specularia     HA        12-30                -    Well drained    1/16"	Sow outdoors and thin out. Spigelia       H/HHP     30-60    L         65-70  Well drained    JC		See No. 14. (Pre-chill for 3 weeks). Stachys        HP        15-30    L         70     Well drained    JC		Reduce soil temperature at night. Grow on the dry side. Stapelia       GP        7-30     L     ˆ   65-70  Peaty           S		Use 1/2 peat 1/2 sand. Stephanotis    GP        15-90          ˆ   75-80  Peaty           1/16"	Keep the compost slightly moist. Stocks         HHA       10-14    L         55-60  Well drained    S		Can be sown in situ. Stokesia       HP        25-30              70     Peaty           1/16"
Strelitzia     GP        30-180         ˆ   70-75  Sand            S		See No. 1. Soak for up to 3 days changing the water daily. Streptocarpus  GP        15-30    L         55-65  Peaty           S		Very small seeds. See No. 5. Streptosolon   HHSh      30-90          ˆ   55-65  Well drained    1/16"
Stylomecon     HA        14-21              -      Well drained    1/16"	Sow outdoors and thin out to 6". Sutherlandia   H/HHSh    21-30              60-65  Well drained    1/16"	See No. 13. (Soak for 3 hours). Sweet Pea      HA        10-20    D         55-65  Peaty           1/4²		File or soak seeds. See Nos. 12 and 13. Grow cool. Tacca          GP        30-270         ˆ   80-85  Peaty           1/8"		Soak for 72 hours. See No. 13. Tecophilaea    HBb       30-365         ˆ   50-55  Peaty           1/16"	Keep compost slightly moist. Tellima        HP        30-90          ˆ   55-60  Well drained    S		See No. 6. Tephrosia      HP        21-42              65-70  Well drained    JC		Chip and soak. See Nos. 12 and 13. Thalictrum     HP        15-21          ˆ   50-60  Well drained    1/8"
Thermopsis     HP        15-30              70     Well drained    1/16"	File or soak the seeds. See Nos. 12 and 13. Thunbergia     HHA       14-21          ˆ   70-75  Peaty           JC		Keep the compost slightly moist. Thymus         HP        15-30    L         55     Peaty           S		See No. 5. Tiarella       HP        14-90          ˆ   50     Well drained    S		See No. 6. Tibouchina     GSh       30-90    L     ˆ   60-70  Peaty           S		See No. 5. Tigridia       H/HHBb    30-90              55-60  Well drained    1/16"
Tillandsia     GP        30-90    L     ˆ   60-70  Peaty           S		See No. 5. Torenia        GA        15-30    L         70-75  Peaty           S		See No. 5. Townsendia     HP        30-90          ˆ   60     Well drained    1/16"	See No. 6. Trachymene     HHA       15-30    D         70     Well drained    1/16"	Transplant carefully. Tradescantia   HP        30-40              70     Peaty           JC		Reduce soil temperature at night. Tree Fems      HHP       30-120   L     ˆ   65-70  Peaty           S		See No. 4. Trichosanthes  HHA       14-30              65-75  Peaty           1"		Sow singly in 2' pots. Tricyrtis      HP        30-90          ˆ   65-70  Well drained    1/8"		Keep compost slighty moist. Trillium       HP        545+           ˆ   60-70  Well drained    S		See No. 15. Requires two periods of at least 3 months in the frig. Tripteris      HA        5-14               60-65  Well drained    1/8"		Can be sown in situ. Trollius       HP        30-365         ˆ   50     Well drained    S		See No. 14. (Pre-chill for 2 weeks). Tulipa         HBb       60-90          ˆ   50     Well drained    1/8"		See No. 6. Vallota        HHBb      30-60              65-70  Peaty           1/16"
Venidium       HHA       6-14               60-65  Peaty           1/8"
Veratrum       HP        90-365         ˆ   55-60  Well drained    1/4²		See No. 6 and No. 16. Verbena        HHA,HP    14-90    D     ˆ   65     Well drained    1/16"	Bonariensis & Venosa. See No. 14. (Pre-chill for 2 weeks). Verbesina      HHA       14-30              60-65  Well drained    1/8"
Veronica       HP        15-30    L         70     Peaty           JC		Reduce soil temperature at night. Vinca          GA        15-30    D     ˆ   70-75  Peaty           1/16"
Viola          HP        14-21    D     ˆ   65-75  Well drained    1/16"	See No. 14. (Pre-chill for 2 weeks). Vriesia        GP        7-90     L     ˆ   60.7   Peaty           S		See No. 5. Wallflower     HB        10-14              65-70  Well drained    1/4"		Sow in reserve bed, prick out 6² apart, plant out in October. Waterlily      GP        14-30							File seed and submerge in water at 75-85'F, change water twice daily. Watsonia       HBb       30-180         ˆ   55-65  Well drained    1/8"		Keep the compost slimy moist. Xeranthemum    HA        10-15              70     Well drained    JC		Transplant carefully. Yucca          HA        30-365         ˆ   65-75  Well drained    JC		Filamentosa germinates at 55°F. Zantedeschia   HHP       30-90    L     ˆ   70-80  Peaty           S		See No. 13. Keep compost quite moist. Zea            HHA       5-14               70     Peaty           1/4"		Sow seeds individually in peat pots. Zinnia         HHA       10-24              75-80  Peaty           1/16"	Sow seeds individually in peat pots. Abies          HT        21-30    L     ˆ   68-75  Peaty           S		Soak overnight then pre-chill for 21 days. (No. 14). Ailanthus      HT        30-90    L     ˆ   50-60  Well drained    S		Chip, soak then No. 14 for 2 weeks. Akebia         HSh       30-180   L     ˆ   50-60  Peaty           S		See No. 14. (4 weeks). Albiza         HSh/HT    30-90          ˆ   65-75  Well drained    1/8"		Soak for 12 hours in tepid water before sowing. Amorpha        HSh       30-120         ˆ   50-60  Well drained    1/16"	Soak for 12 hours in tepid water before sowing. Andromeda      HSh       30-60    L     ˆ   50-60  Peaty           S		Stand seed pan in a saucer of water to keep soil always moist. Arbutus        HT        60-90    L     ˆ   65-70  Peaty           S		See No. 14. (6-8 weeks). Arundinaria    HSh       30-90    L     ˆ   70     Peaty           JC		Stand seed in a saucer of water to keep the soil always moist. Asterolasia    HSh       30-180         ˆ   55-65  Well drained    1/16"
Aucuba         HSh       30-90          ˆ   65-70  Well drained    1/8"
Azalea         HSh       50-90    L     ˆ   55-60  Peaty           S		See No. 5 or No. 6. Keep shaded from direct sun. Berberis       HSh       60-180   L     ˆ   50-65  Well drained    S		See No. 14. (8 weeks). Betula         HT        30-90    L     ˆ   65-75  Peaty           S		See No. 14. (10 weeks). Buddleia       HSh       20-30    L         70-75  Peaty           S		See No. 14. (Pre-chill for 4 weeks). Calluna        HSh       30-60    L     ˆ   65-70  Peaty           S		See No. 14. (Pre-chill for 4 weeks). Calocedrus     HT        30-90    L         50-60  Peaty           JC		See No. 14. (Pre-chill for 4 weeks). Camellia       HSh       30-90          ˆ   70-75  Peaty           1/4²		See No. 13 . May also benefit from No. 14. Caragana       HSh       14-21    L         65-70  Well drained    S		See No. 13. Carpinus       HT        30-365   L     ˆ   65-70  Well drained    S		See No. 15. (1 month at 70°F then 4 months in frig.) or No. 16. Catalpa        HT        14-30    L     ˆ   60-70  Peaty           S		Give seedlings good ventilation to prevent damping off. Ceanothus      HSh       30-60    L         65-70  Well drained    S		Soak overnight then treat as No. 14 for 2 weeks. Cedrus         HT        14-60    L     ˆ   60-65  Well drained    S		Soak for 2-3 hours then treat as No. 14 for 3 weeks. Cercis         HSh       30-90    L     ˆ   70-75  Well drained    JC		See No.13. Soak in hand hot water then No. 14 for 2-3 months. Chaenomeles    HSh       70-90    L     ˆ   55-65  Well drained    S		See No. 14. (Pre-chill for 7-10 weeks). Chamaecyparis  HT,HHT    30-60    L         50-60  Peaty           JC		See No 14. (Pre-chilll for 3 weeks). Chimonanthus   HSh       63-90    L     ˆ   50-60  Well drained    S		See No. 14. (Pre-chill for 5-8 weeks). Cistus         HSh       7-30     L         65-70  Peaty           S		See No. 5. Clerodendron   HSh       60-90    L     ˆ   65-70  Well drained    S		See No. 14. (Pre-chill for 4-6 weeks). Colutea        HSh       7-21               65-70  Well drained    1/16²	Chip and soak. See Nos. 12 and 13. Cornus         HSh       90-730   L     ˆ   50-60  Well drained    S		See No.15. (2 months at 70°F then 3 months in frig) or No. 16. Cotoneaster    HSh       180-365  L     ˆ   70     Acid Peaty      S		See No.15. (3-5 months at 70°F then 3 months in frig) or No. 16. Crataegus      HSh       180-730  L     ˆ   50-60  Well drained    S		See No.15. (3-5 months at 70'F then 3 months in frig) or No. 16. Crinodendron   H/HHSh    30-120         ˆ   55-65  Well drained    JC		See No.13. (Soak for 3 hours). Cupressus      HT        30-90    L     ˆ   65-75  Peaty           S		See No.14. (Pre-chill for 3 weeks). Cytisus        HSh       25-30    L         70-75  Well drained    S		See No.13. Transplant to final quarters whilst still small. Daboecia       HSh       30-120   L     ˆ   55-65  Acid peat       S		Never allow compost to dry out. Davidia        HT        300-365        ˆ   50-65  Peaty           1/4		See No. 15. (3-4 months warm moist, 3-4 months frig.). Elaeagnus      HT/HSh    140-180        ˆ   50-65  Well drained    1/16		See No. 15. (4 weeks warm moist, 8-12 weeks frig.). Enkianthus     HSh       25-60    L     ˆ   60-70  Peaty           S		See No. 14. (Pre-chill for 6 weeks). Erica          HSh       30-60    L     ˆ   65-70  Peaty           S		See No. 14. (Pre-chill for 4 weeks). Euonymus       HSh       220-365        ˆ   50-65  Well drained    1/16		See No. 15. (8-12 weeks warm moist, 8-16 weeks frig.). Fagus           HT       30-365   L     ˆ   50-60  Well drained    JC		Soak overnight then see No. 14 (pre-chill for 6 weeks) or No. 16. Fuchsia        HSh       21-90    L     ˆ   70-75  Peaty           S		See No. 5. Soak in rain water for 3-4 days. Keep compost moist. Gaultheria     HSh       30-60    L         65-70  Peaty           S		See No. 14. (Pre-chill for 4-10 weeks). Acid soils only. Genista        HSh       14-30              55-65  Well drained    JC		See No. 13. Gingko         HT        30-60    L     ˆ   70-75  Peaty           1/8		See No. 14. (Pre-chill for 8-10 weeks). Gleditschia    HT        14-30              65-70  Well drained    JC		Chip and soak for 24 hours. See Nos. 12 and 13. Gymnocladus    HT        30-90          ˆ   65-70  Well drained    1/4		Chip and soak in warm water for 24 hours. See Nos. 12 and 13. Hamamelis      HSh       270-365  L     ˆ   50-60  Peaty           1/16		See No.15. (3 months at 70°F then place in frig. for 3 months). Hibiscus       HSh       30-60          ˆ   70-75  Well drained    1/16		See No.13. Hippophae      HSh       30-180   L     ˆ   55-65  Well drained    JC		See No.14. (Pre-chill for 14 weeks). Indigofera     HSh       30-60              65-70  Well drained    1/16		Pour nearly boiling water over seed and leave to soak overnight. Juglans        HT        30-180   L     ˆ   50-60  Peaty           JC		See No. 14. (2-3 weeks). Place so that dividing line is at the top. Juniperus      HT        30-180   L     ˆ   45-50  Peaty           S		Soak for 24 hours. High temperatures prevent germination. Kalmia         HSh       30-60    L     ˆ   70     Sandy peat      S		See No. 14. (Pre-chill for 3 months). Koelreuteria   HT        30-60    L     ˆ   55-65  Peaty           JC		See No. 13. (Use boiling water) then No. 14 (place in frig. for 3 weeks). Kolwitzia      HT        40-70    L     ˆ   65-70  Well drained    JC		Soak for  24 hours then No. 14. (Pre-chill for 4 weeks). Labumum        HT        30-60              65-70  Well drained    1/16		Chip and  soak. See Nos. 12 and 13. Larix          HT        30-90    L     ˆ   65-75  Peaty           S		See No. 14. (Pre-chill for 1 month). Liquidambar    HT        14-365   L     ˆ   65-75  Peaty           S		See No. 14. (Pre-chill for 3 months). Don't let the seeds dry out. Liriodendron   HT        60-365   L     ˆ   65-75  Peaty           S		See No. 16. Lonicera       HSh       180+     L     ˆ   60-70  Well drained    JC		See No. 14. Place in frig. for 3 months. Keep temp. below 75°F. Magnolia       HT        120+     L     ˆ   50     Well drained    JC		See No. 14. Place in frig. for 4 months. Mahonia        HSh       90-120   L     ˆ   50     Peaty           JC		See No. 14. (Pre-chill for 3 weeks). Malus          HT        120-365  L     ˆ   50     Peaty           JC		Soak for 24 hours then No. 14. (Pre-chill for 14 weeks). Menziesia      HSh       30-60              55     Sandy peat      S		Keep compost uniformly moist. Morus          HT        14-30    L         65-75  Peaty           S		See No. 5. or see No. 14. (Pre-chill for 1-3 months). Myrtus         HHSH      30-90          ˆ   55-65  Peaty           JC		See No. 13. Nyssa          HT        90-365   L     ˆ   50     Peaty           S		See No. 14. (Pre-chill for 3 months). Olea           HHT/HT    30-120         ˆ   65-70  Well drained    1/8"
Ostrya         HT        365+     L     ˆ   50-60  Well drained    JC		See No. 16. Paeonia        HSh       270+     L     ˆ   70     Well drained    JC		See No. 15. Parthenocissus HSh       60-180   L     ˆ   60-70  Well drained    JC		See No. 13 then 14. (Pre-chill for 6 week). Picea          HT        30-60    L     ˆ   55     Well drained    S		See No. 14. (Pre-chill for 21 days). Pieris         HSh       30-70    L     ˆ   65-70  Acid Peat       S		See No. 5. Pinus          HT        30-60    L     ˆ   55-65  Well drained    S		Soak seed, then No 14. (Pre-chill for 6 weeks). Pittosporum    HHSh      30-60          ˆ   55     Well drained    1/16"	Place seeds in a bag and dip in boiling water for a few seconds. Prunus         HT        120-365  L     ˆ   65-75  Well drained    1/16"	Soak overnight then see No. 14. (Pre-chill for 4 months). Pseudotsuga    HT        30-180   L     ˆ   75     Peaty           S		See No. 14. (Pre-chill for 8 weeks). Ptelia         HSh/HT    80-120             55-60  Well drained    1/8"		See No. 14. (Pre-chill for 3 weeks). Pyracantha     HSh       40-180   L     ˆ   50     Peaty           JC		See No. 14. (Pre-chill for 6 weeks). Quercus        HT        120-365  L     ˆ   50     Peaty           JC		Soak for 24 hours, then No. 14. (Pre-chill for 3 months). Rhododendron   HSh       50-90    L     ˆ   55-60  Acid Peat       S		See No. 6. Keep shaded from direct sun. Rhodotypos     HSh       365+     L     ˆ   55-65  Peaty           JC		See No. 15. (3 months at 70°F, 3 months chill, 3 months at 70°F). Rhus           HSh       30-90          ˆ   65-70  Well drained    JC		Chip or soak. See Nos. 12 and 13. Robinia        HT        7-30    L         65-75  Well drained     S		See  No. 13. Soak in hand hot water. Rosa           HSh       30-365+  L     ˆ   55     Well drained    JC		See  No. 16 or No. 14. (Pre-chill for 3 months). Skimmia        HSh       30-180   L     ˆ   50-60  Acid Peat       S		Soak overnight then No. 14. (Pre-chill for 4 weeks). Sophora        HT        10-21              70-85  Well drained    JC		Chip and soak seeds. See Nos. 12 and 13. Sorbus         HT        120-180  L     ˆ   65-70  Well drained    S		See No. 14. (Pre-chill for 4 months). Spartium       HSh       7-30               70     Well drained    JC		Chip and soak. See Nos. 12 and 13. Syringa        HSh       14-60    L         70     Peaty           S		See No. 14. (Pre-chill for 3 weeks). Tamarix        HSh       30-50    L         65-70  Peaty           S		See No. 5. Taxodium       HT        14-60    L         70     Peaty           S		See No. 14. (Pre-chill for 30 days). Taxus          HT        365+     L     ˆ   70     Peaty           JC		See No. 15. (3 months at 70°F, 3 months chill, 3 months at 70°F). Thuja          HSh       14-60    L     ˆ   55     Peaty           S		See No. 14. (Pre-chill for 4 weeks). Trachycarpus   HT        40-90    L     ˆ   55-65  Peaty           S		See No. 14. (Pre-chill for 4 weeks). Tsuga          HT        7-60     L     ˆ   60     Peaty           S		See No. 14. (Pre-chill for 3 months). Ulex           HSh       14-21              65-75  Well drained    JC		See No. 13. Vaccinium      HSh       365+     L     ˆ   65-75  Acid Peat       S		See No. 16. Viburnum       HSh       240-540  L     ˆ   70     Well drained    JC		See No. 15. (3 months 70°F, 3 months chill, 3 months 70°F). Wistaria       HSh       30-60              55-65  Well drained    1/8"		Chip and  soak in hand hot water. See Nos. 12 and 13. Zelkova        HT        14-60    L     ˆ   50-70  Peaty           S		See No. 5 or No. 14. (Pre-chill for 2 weeks). The following data is provided by Thompson & Morgan Successful Seed Raising Guide. This guide is out of print. If I was able to help you out.. how about a donation so this site breaks even..please.